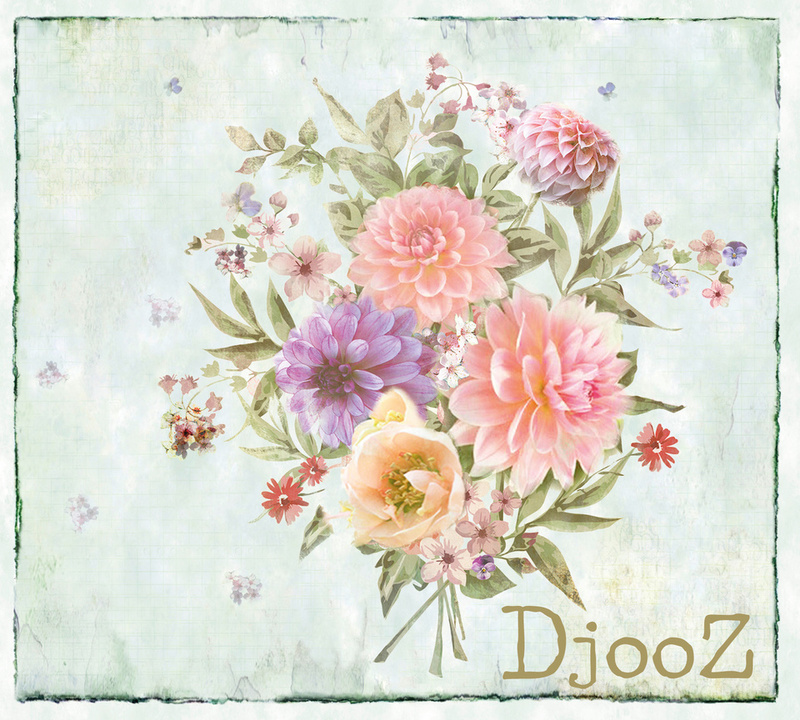 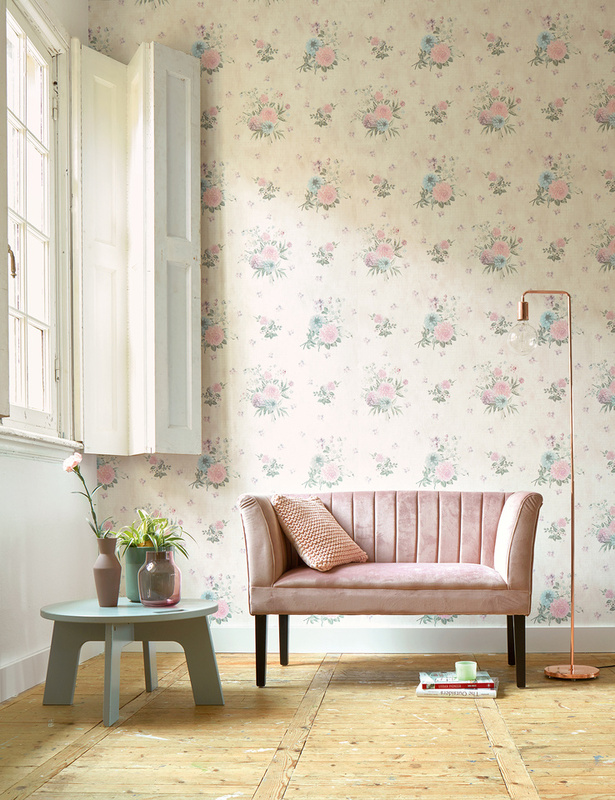 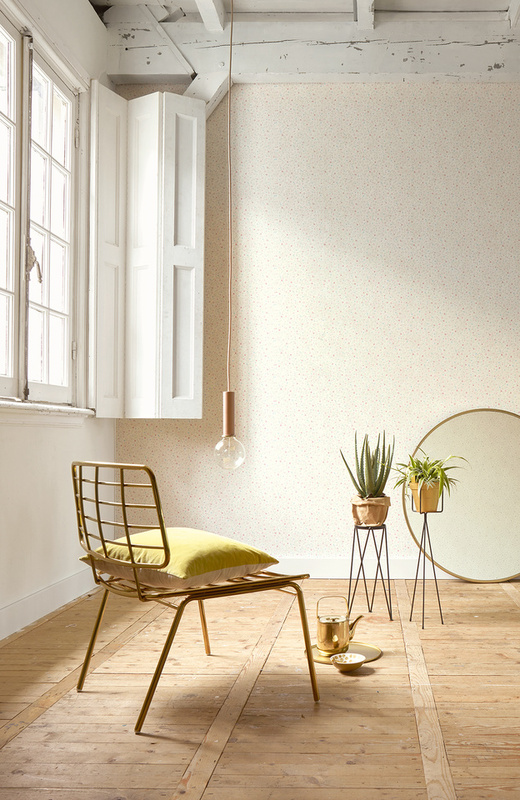 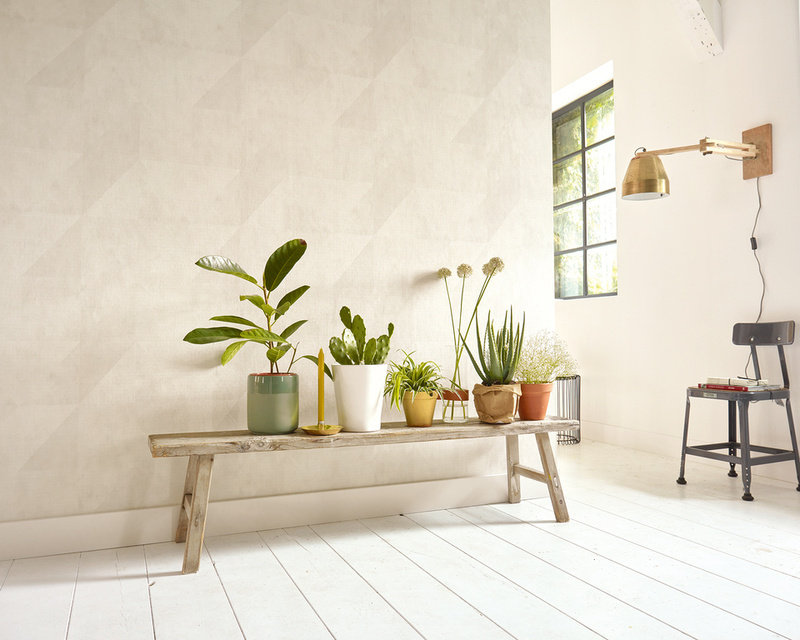 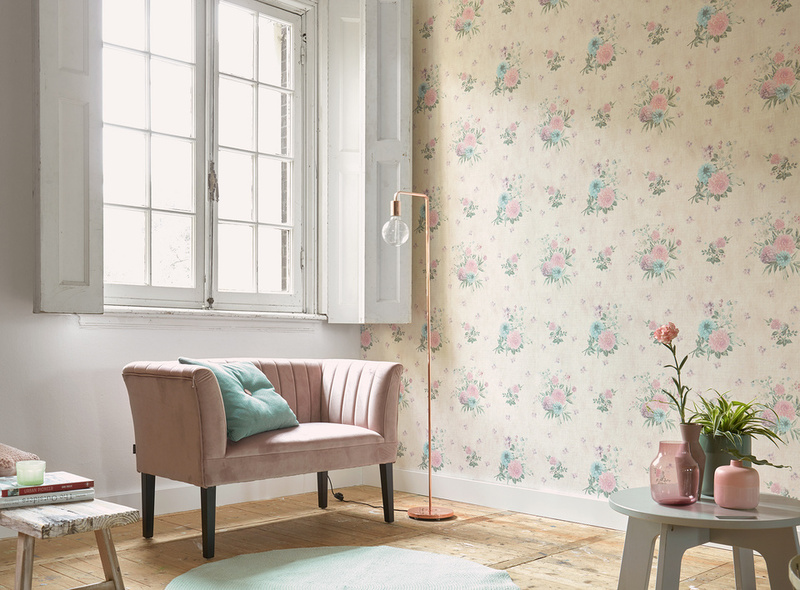 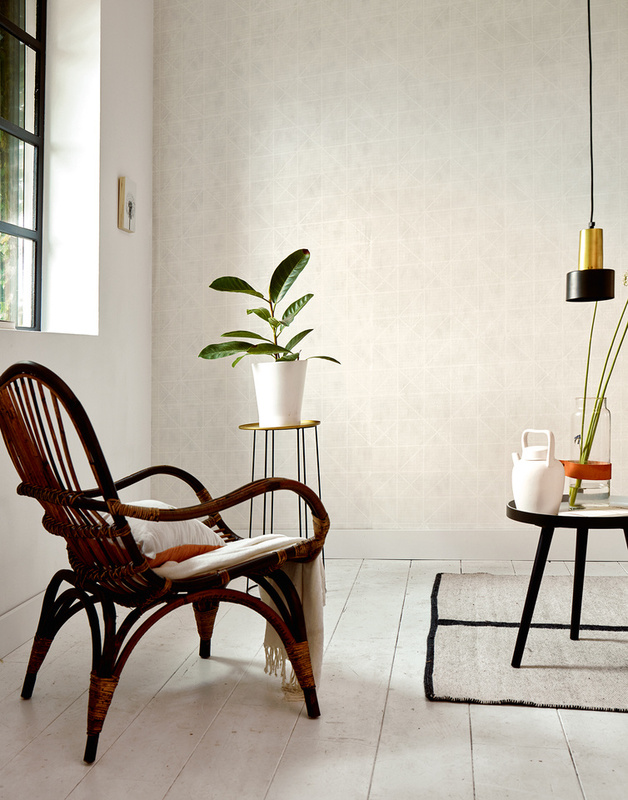 Nostalgic, romantic and a bit playful – the second collection by A.S. Création and the Dutch lifestyle label DJOOZ also provides a charming backdrop for serene country house interiors: with fresh flower designs, poetic writing and vintage decors in light rose, blue, green and grey. 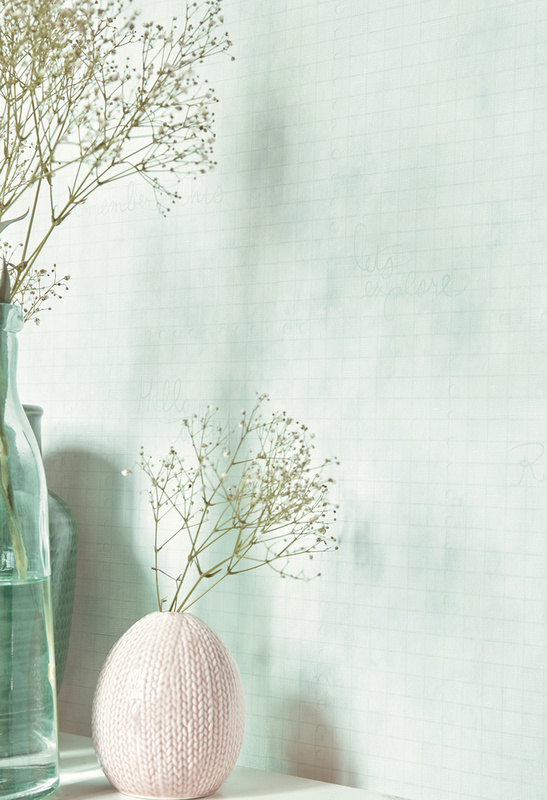 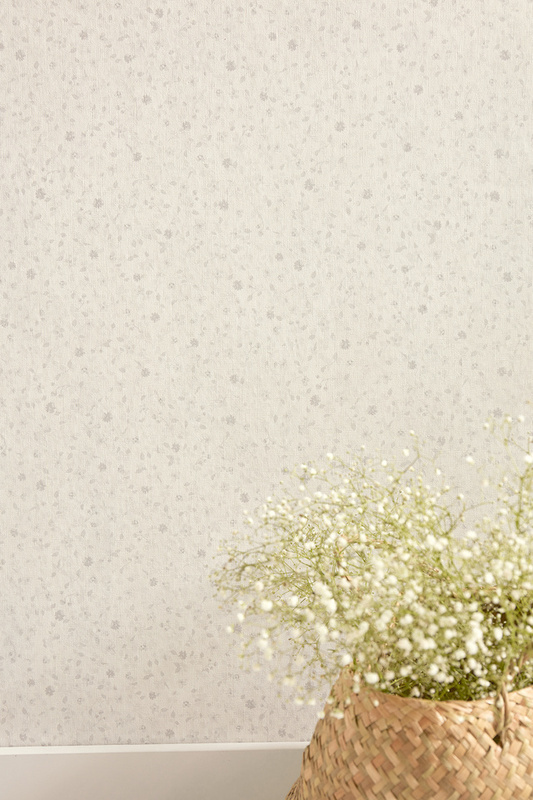 Tenderly dappled glitter accents should not be missing this season. 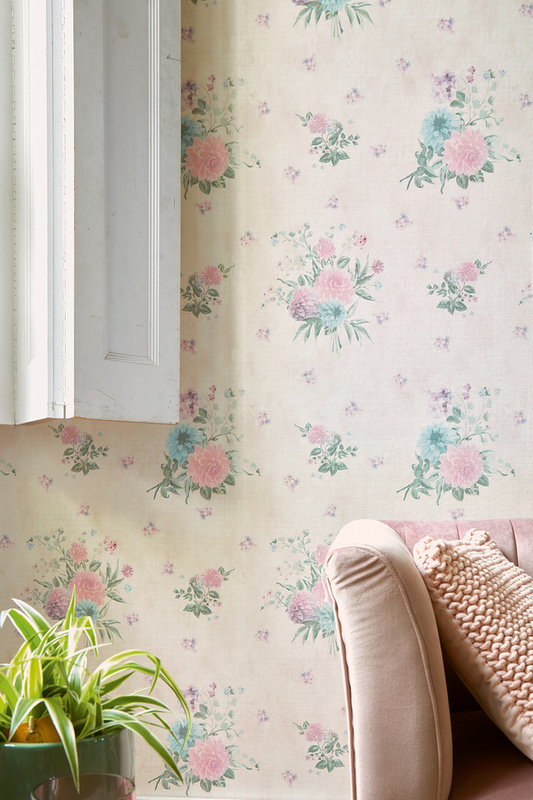 Two additional digital prints with large-sized flowers and harmonious text lines attract eye-catching attention.